COGAT shares video of Gaza residents blaming Hamas for their dire situation. The Coordinator of Government Activities in the Territories, Major General Kamil Abu Rokun, published a video on Monday on COGAT Arabic Facebook page, in which Gazan residents testify that their cause of their dire situation in Gaza is the Hamas terrorist organization. "We cannot go on. We've suffocated. The people are dead," the residents cry. Maj. Gen. Abu Rokun wrote to the residents of Gaza and wrote to them, "For months the Hamas leadership has demanded that you come every Friday to the security fence area, endangering your life for violent riots and pointless demonstrations. But when you are wounded and in need of help, Hamas abandons you and does not even take care of your treatment, as you yourself will testify in the next video. " 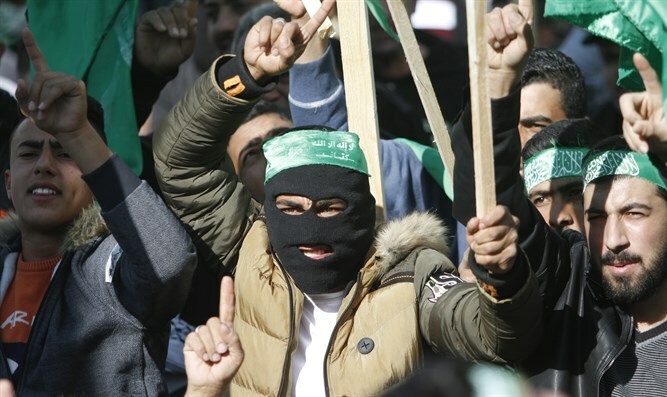 "From our knowledge of the terrorist organization, it is not surprising that if you are looking for those responsible for your difficult situation in the Gaza Strip, the answer is clear," the Coordinator of Government Activities said.